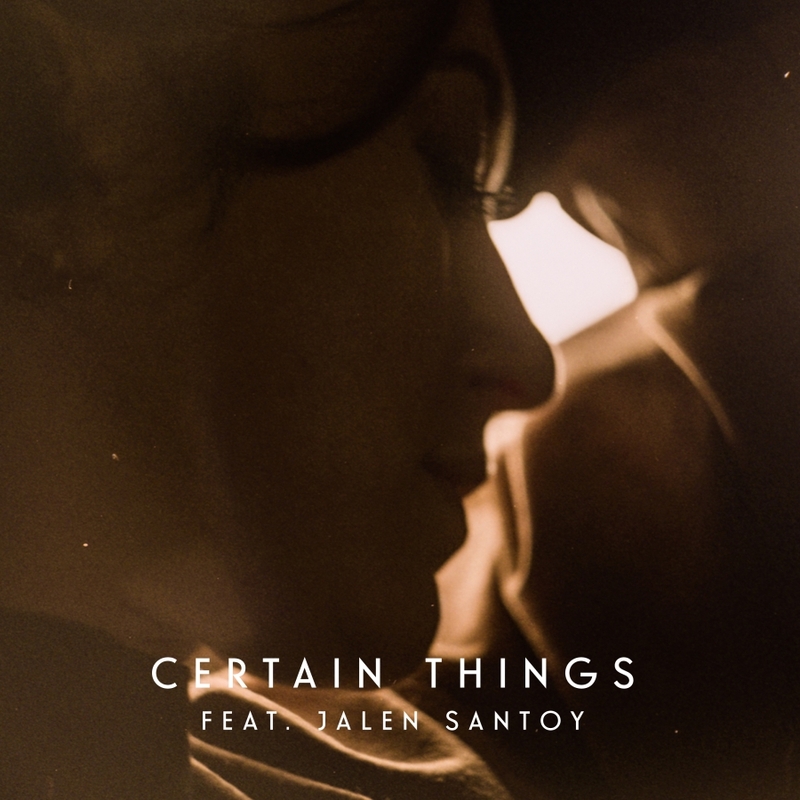 In “Certain Things,” LYVES and Jalen Santoy celebrate the now, noting the importance of accepting unchangeable pasts and unshakeable futures. Remaining focused on the now can be an often difficult task; one can feel stifled by the past or too anxious for the future. By acknowledging that the things that have happened cannot be changed nor can the future ever truly be predicted, the present can ultimately become our most powerful ally. London-based singer Francesca Bergami, better known as LYVES, fluently expresses this with her latest single, “Certain Things” (ft. Jalen Santoy), a song which Atwood Magazine is proudly premiering today. Bergami first explored the potential with LYVES in 2016, subsequently releasing her debut EP, Like Water, at the beginning of 2017. She’s been no stranger to musical success since, with tracks such as “The Weather” and “Darkest Hour” racking up millions of plays across streaming platforms. LYVES’ music is redolent and powerful, never once straying from pure authenticity. “Certain Things” is no exception to that. “Certain Things” celebrates the now, noting the importance of accepting unchangeable pasts and unshakeable futures. The past is far behind us; the future doesn’t exist. One can only search so many times for the unanswerable before consequently realizing its intangibility. “Certain Things” takes any projected fears, and simmers them to fleeting thoughts. The track enlightens one to the present, welcoming spontaneity and aiming to avoid focusing on that which does not matter. Over lush piano keys, LYVES’ honeyed vocals offer a promising reassurance on the track, and one never feels hesitant to believe her in thinking that everything is okay, and all that matters is what is currently happening. “Certain Things” shines through itself as LYVES offers reaffirmation not only to the listener, but to herself as well. Through collaboration with Nathaniel Williams and Simeon Jones from The Colours That Rise, “Certain Things” spontaneously came about within all of 10 minutes, ostensibly apropos for the song’s central theme. The three of them knew, too, that they wanted another raw energy to fully complete “Certain Things,” and thus the collaboration with Jalen Santoy was born. Santoy’s feature pursues similar sentiments, ultimately reminding listeners to “know your role,” but “if things get too deep, [he’s] right here.” His verse feels extant to a more personal narrative for himself; it offers a refreshing perspective to “Certain Things,” giving a more corporeal feeling to the song’s otherwise universal sentiments. Santoy remains reassuring throughout his verse that everything is okay – not was or will be, but is. Similarly to LYVES, Santoy notes that it is unnecessary to focus solely on “what’s missing,” and to instead listen and be present. And no matter what, he is there to reaffirm any uneasiness. LYVES and Santoy both provide calm in the nervous energy that surrounds overthinking too much. “Certain Things” powerfully states that it’s okay to just be, without precursors. One is not defined by their past, nor precluded by their future. LYVES and Santoy promise that one can – and should – live fully and freely, without “Certain Things” standing in the way. Stream “Certain Things” now, exclusively on Atwood Magazine!